Nashville is well-known as the Country Music Capital of the World, so it's no surprise that many of its most popular attractions are music-related. 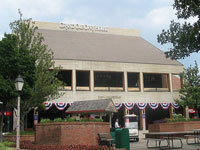 The Country Music Hall of Fame and Museum is a great place to learn about the history of the beloved genre, while the Grand Ole Opry, and Ryman Auditorium offer the opportunity to catch popular acts in equally-famous settings. The General Jackson Showboat also offers dinner entertainment on a historic 300-foot (91m) paddleboat. However, Nashville does have more to offer tourists other than country music. Visitors can learn about the city's long and proud history at the Tennessee State Museum and the Belle Meade Plantation. The city also has plenty of pretty outdoor spaces, including Centennial Park (home to Nashville's famous Parthenon) and Radnor Lake, as well as seven golf courses. Children will enjoy the Nashville Zoo at Grassmere, and the Adventure Science Center. 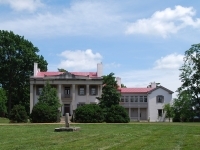 Belle Meade Plantation, known as 'the queen of Tennessee plantations', is home to an 1853 Greek revival mansion that has been carefully restored to show its original elegance. Situated at the central hub of Nashville in the Downtown entertainment district, is one of the world's largest museums and research centre for American music, the Country Music Hall of Fame.